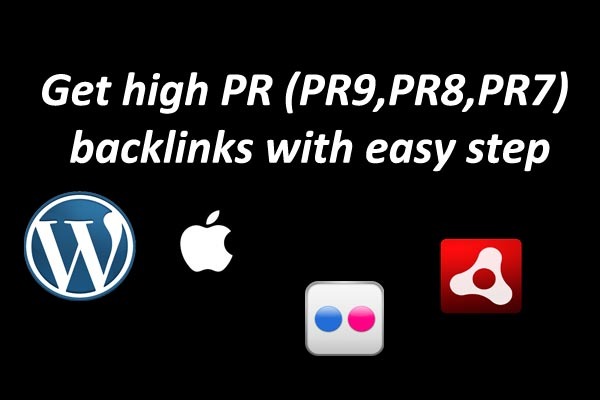 Easiest way to get high PR backlink ( PR9,PR8 and PR7) . To high your rank in Google Search, we need get backlinks from reputed websites which are having a high Google pagerank. A high PR9,PR8 and PR7 backlinks helps and boost your organic traffic and ranking in Google. Why must google rank? Google is The most preferred search engine in the world. 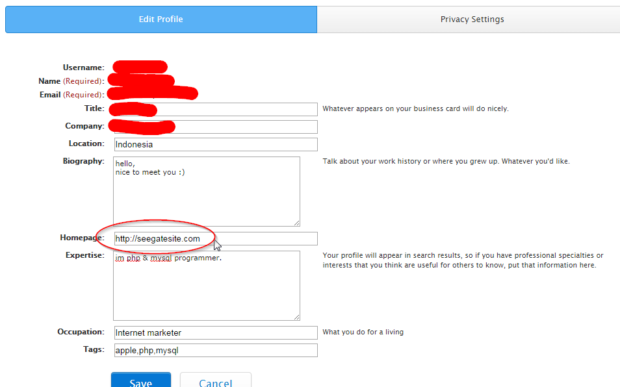 To get backlinks from high PR websites like adobe.com, wordpress.org, apple.com, etc is not difficult, maybe you should be a little careful to get it. 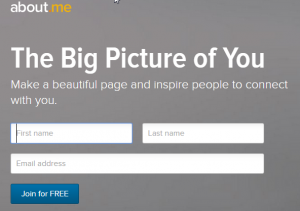 About.me is a simple online service acquired by AOL and serves like an E-Business card, allowing you to include your biography, personal pictures, personal website, and connect your personal and business website, blog, Facebook, Twitter, LinkedIn, Facebook pages, and Google Plus. 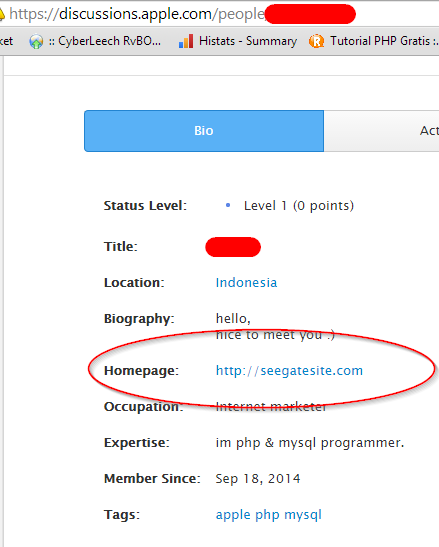 About.me has PR7 and 1192 rank of alexa. 5. 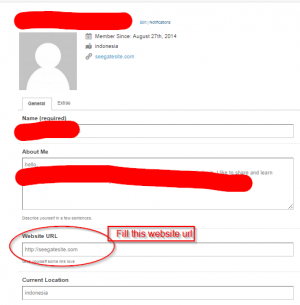 Click tab links and input your domain name. 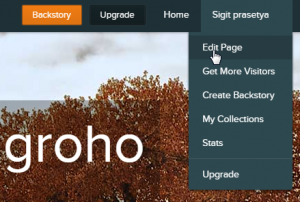 WordPress is open source blogging/CMS software that powers 22 per cent of the web, including this one. 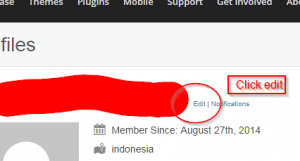 The software is a community-driven project and WordPress.org is where you can download the WordPress installation files, and search for and download free themes and plugins. WordPress.org has PR9 and ranks 64 in Alexa. 1. 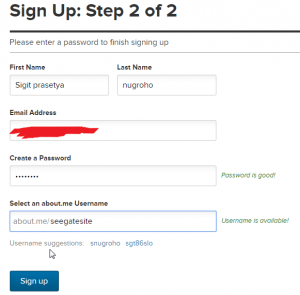 Registration here https://wordpress.org/support/register.php and finish your registration process. 2. 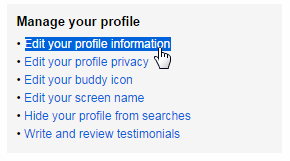 After finishing your registration, open profile page from this url : https://profiles.wordpress.org/[your-user-name]. Drupal.org is the home of the Drupal project. In addition to keeping track of all the Drupal code and contributed projects, Drupal.org publishes news, organization information, training resources, case studies and community spotlights. Drupal.org has PR9 and ranks 1032 of Alexa. 1. 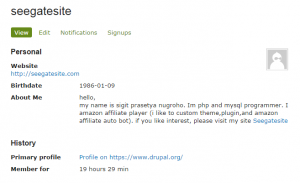 Registration new account here https://www.drupal.org/user/register. Apple.com is officially site for apple product. 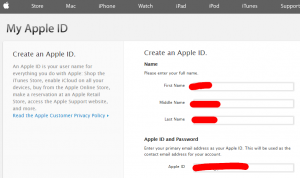 Apple.com is learn about Apple products, view online manuals, get the latest downloads, and more. Connect with other Apple users, or get service, support, and professional advice from Apple. Apple.com has PR9 and ranks 44 of Alexa rank. Flickris a popular photo-sharing and hosting service with advanced and powerful features. It supports an active and engaged community where people share and explore each other’s photos. Flickr.com has PR9 and ranks 104 of alexa. 4. 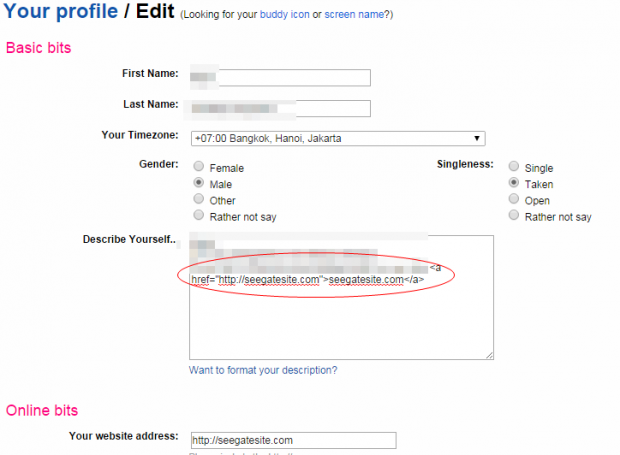 Type your url at “Describe Yourself…” box with syntax. 5. Click save and watch, you get high pr backlink from flickr.com. 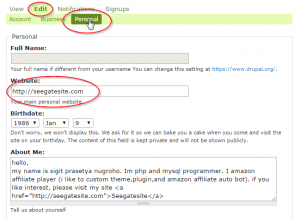 Very nice post that i’ve found in seegatesite.com. I appreciate the writer to give a better ideas to get backlinks from high PR sites, will be fine when i found more sites similar to this topic. On Apple.com i can’t see the URL field… Any updates? This is a very good and effective writing on backlink. But I have a question that backlinking in just this way can really increase my website page rank or search ranking on google? If yes then how much profile on different high pr site like in the article is needed for best result? Thank you so much for this post! I would have never been able to do this on my own. Thanks much for this article , just went and created an account for each and everyone of them. Bro you are great…. 🙂 brilliant idea.. 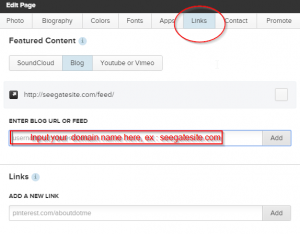 I just finished create all the back-links as you showed . 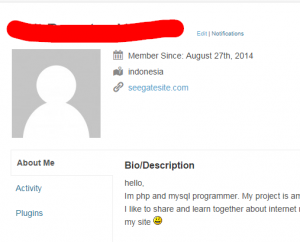 Thank you so much for introducing me to the world of Backlinks. Indeed helpful. I’ve seen one of my client’s site on about.me and I found your page on the guide for about.me. I think they have changed their interface? 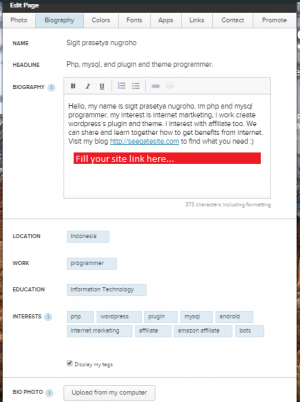 There isn’t any editing tools that you can hyperlink your website now. There’s this thing called spotlight, though I don’t know if that counts as a backlink. Really great article. Thank you very much for this awesome post.